Galaxies all come in different shapes and sizes and it plays on our imagination of what life could be like in other galaxies. However, the Comet Galaxy brings something new to the table. It’s what astronomers and scientists discovered about this galaxy that made it so intriguing. The galaxy is ripping itself apart while flying through space at incredible speeds. At the top left you can see the infamous Comet Galaxy leaving a trail of stars and gas as it’s flying through at 3.5 million kilometers/hr or 972 kilometers per second!! So you can imagine that this thing is just barely holding on to its mass and stars as it’s flying through. The Comet Galaxy is located 3.2 billion light years away in Abell 2667, so really it takes a very powerful telescope to even see this thing. The temperatures in the galaxy are estimated between 10 – 100 million degrees Kelvin! Our Sun is around 10,000 -27,000 Kelvin depending on where you measure it. The Comet Galaxy has intense scorching plasma as a result of such high temperatures. Here’s a close up of the Comet Galaxy taken from the Hubble Space Telescope, about 200 million years into the process. The distance from the main galaxy to the tail is about 600,000 light years. You can really see how the tail is all over the place and the galaxy is barely keeping its form. So what’s causing this? Well you probably guessed it: the speed of the galaxy travelling through the universe is mostly the culprit. As the galaxy is blasting through space the stars are being stripped away by tidal forces exerted from the cluster. Another reason is that insane temperature! Since the temperature is incredibly high it also means the pressure is incredibly high as well, causing more of that destructive force. The size of this galaxy is slightly bigger than our own Milky Way. You can try and imagine a galaxy the size of ours (100,000 light years) then imagine increasing the speed by 4 times as much. The Hubble Telescope took a photo of this comet in 2007 and this led to some very interesting questions. That fact alone is incredible! 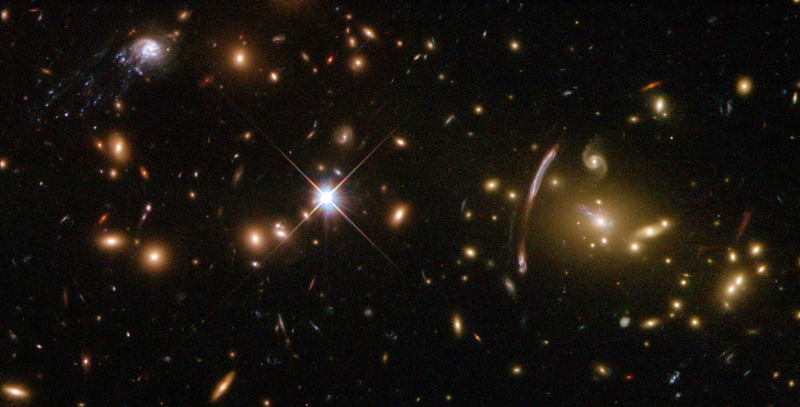 Not only are not most of galaxies rich in gas but only half of them. When the universe was half the age it is today there was about a 1 in 5 ratio of poor gas galaxies to rich gas galaxies. Astronomers have concluded that this galaxy will eventually lose all of its gas which will mean the star factory will stop producing new stars and be left with old red stars. 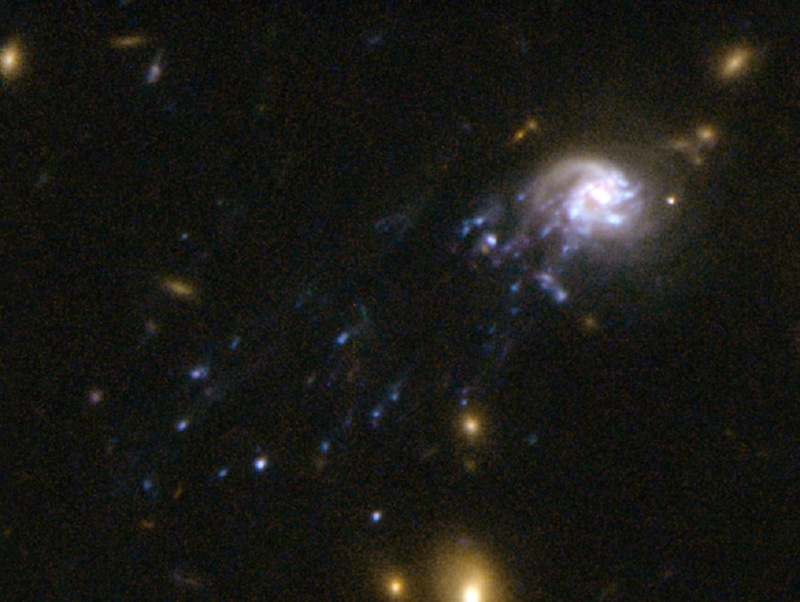 It’s an incredibly galaxy to study and has taught astronomers a lot about what is happening with these gas poor galaxies and why we have so many more now. Find out how the Comet Galaxy got its name and the fact it's travelling 972 kilometers per second! A beast about the size of our located 3.2 billion light years away - we know it'll be all stripped away.